Sometimes, troubled teens fall into poor behavior choices, which usually turn into habits. During this process, they begin to neglect their academic responsibilities and then find themselves so far behind that they give up or drop out. At Liahona Academy, we believe that these troubled teens deserve a second chance in school and, therefore, are providing excellent academic restoration for troubled teens in our residential treatment center. 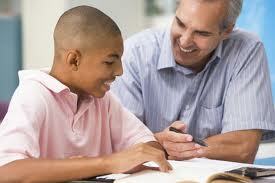 There are other centers and ways of achieving academic restoration. Call Liahona Academy today at 1-800-675-8101 for more information on academic recovery programs. Studies have shown that the best academic restoration is provided through residential treatment centers. These treatment centers have proven that the most successful interventions for troubled teens are found in a long-term, "away from home" environment, which is what a residential treatment center is. There are few distractions for troubled teens seeking academic restoration in residential treatment centers, which is a great benefit and ultimately helps teens get back on track in school. The second main goal of residential treatment centers is to restore each struggling teen back to a productive future by creating success academically. During the teenage years, it is so important to get an education and graduate from high school. Graduating high school will greatly benefit adolescents during their adulthood for getting into college, applying for jobs, etc. which is why residential treatment centers provide academic restoration to troubled teens who fall behind in school. Failing academic performance in teens is usually due to other underlying issues that residential treatment centers help to identify. While working on their personal issues, troubled teens in residential treatment centers have the privilege of being able to participate in academic restoration programs that allow them to pace themselves. This helps troubled teens to feel less stress and be able to focus on their personal issues better. The results of teens struggling academically that participate in academic restoration are impressive and astounding. In fact, the staff in residential treatment centers has found that these teens end up enjoying school and wanting to further their education. At Liahona Academy, our goal is to see your troubled teen succeed in life. By providing academic restoration, we have developed a tool to instill in teen’s lives that will carry on with them for the rest of their lives and ultimately help them to succeed in whatever path they decide to take. We have helped kids to get back on track in school and even had teens graduate while residing in our residential treatment center. For teens that find they are suffering academically for the personal struggles in their life, we highly recommend academic restoration provided in residential treatment centers, like Liahona Academy. To speak with our admissions office, call 1-800-675-8101 today.